Your View Affects Your Game: Are You Using the Best Monitor for Your Game Experience? Investing your resources in a new gaming rig, only to cheap out on the monitor, is such a shame. By not getting a good monitor, you simply won’t be able to get the best out of your hardware. If you are playing competitive multiplayer games, the cheaper monitors might introduce a significant amount of input lag, which will make it harder to react to the actions of your opponents. They could also introduce some other disadvantages like not being able to see the colors properly. With gaming computers, bigger is often better. Having a huge monitor may take up more space, but it will allow you to see smaller objects better, which means having an advantage in competitive games. You don’t have to go all the way and get a 27-inch or even a 30-inch monitor, 24-inch ones are quite fine. However, you will be limited to a 1920×1080 resolution. There are various different panel technologies, each introducing its own benefits and drawbacks. Twisted Nematic panels are the most popular option in the gaming audience, simply because of how affordable they are while also offering great response times and refresh rates. However, when trying to view them from a certain angle, color shifting may occur. Vertical Alignment panels have a high native contrast ratio, they can show deep black colors and other shades, however, they have a weakness that greatly affects the gaming experience: they introduce ghosting effects. There are also the In-Plane Switching panels, which are the middle ground between those two options, but they are no match for the pixel response the Twisted Nematic panels can offer and tend to introduce motion artifacts. With gaming monitors, having a high refresh rate and fast pixel response rate is especially important. Refresh rate, in particular, is how much time it takes for the monitor to redraw the entire screen and it’s measured in Hertz (Hz). 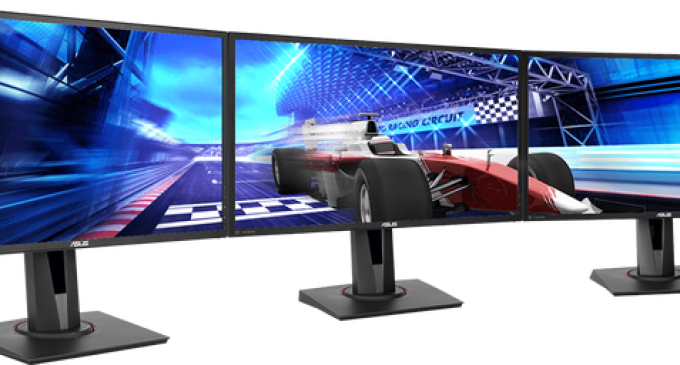 Consumer grade monitors usually have a refresh rate of 60Hz, but for gaming purposes, this is not enough, because it may introduce unwanted effects such as blurry objects, screen tearing, etc. Ideally, you want to look for a monitor with at least 120Hz, and none of the top 10 144hz monitors will ever produce any unwanted graphical effects. In fact, these kind of refresh rates are a requirement for active 3D technology. A good monitor should have a comfortable number of video inputs, so you can connect it to more than one device at the same time (for example, your computer rig as well as your gaming console). Dual HDMI ports are quite nice to see and at least one DVI port will also come in handy. USB ports are not needed, but they sure make things easier by allowing you to connect additional controllers and other input devices. Now you know the most important factors when it comes to picking the best gaming monitor, so you can confidently go about making the purchase. Do keep in mind that price is not the sole most important factor, and as long as you know how to make a smart buying decision, you can get some top-notch gaming monitors at affordable price levels.